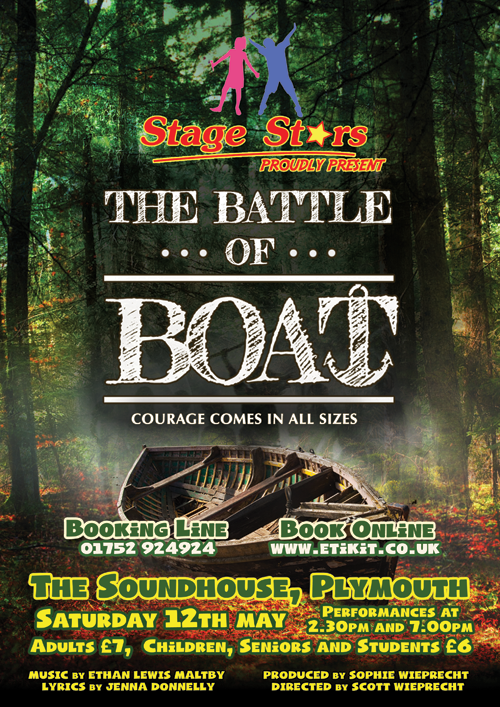 The Battle Of Boat is an original musical by composer Ethan Lewis Maltby and lyricist Jenna Donnelly. Set during WW1, it follows the adventures of a group of children trying to find their place in a world at war. Heartwarming, funny, emotional and exciting, the musical is performed entirely by children aged 8 to 18. This will be the South West premiere of this brand new musical.